Above you can see a gull, I had to research what kind of gull it is, but I believe it might be a black-headed gull. But the gull in my picture is not black-headed, that confused me when I researched, but it seems their plumage does change depending on the season and if they are breeding or non-breeding. 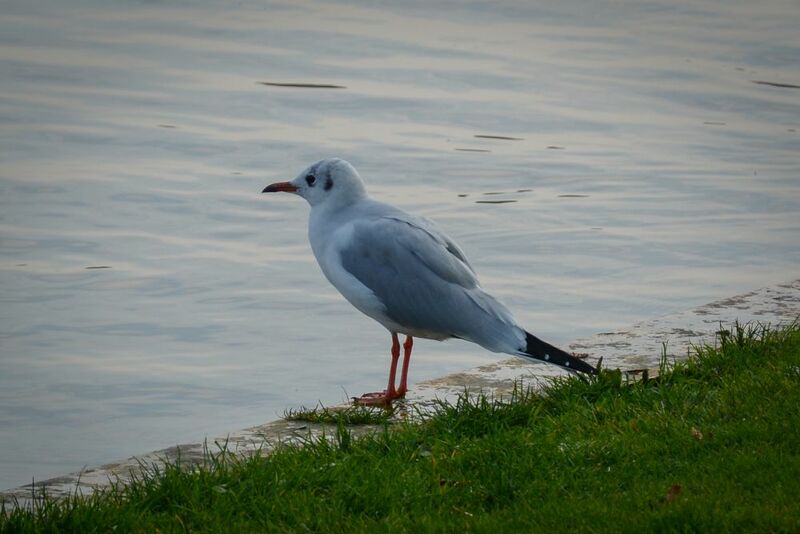 So, if I am right with my research, the gull in my photo is a black-headed gull with winter plumage. You can find a couple of photos in a Wikipedia entry that shows the different plumage appearance. The site All About Birds has a nice entry too, click on the link and you find different photos too. It was interesting to compare the Wikipedia entry with the one for silver gulls the most common type here. I was having fish and chips on the Hobart waterfront yesterday and was surrounded by them. I used to enjoy feeding seagulls but the vendors have put up signs asking people not to so I didn’t. I think this has made the birds more agressive as when I sat down to eat they crowded round me, one even landing on me briefly. Never had that happen before. They would used to wait more or less politely knowing they would get a chip or two.